Any traders who wants to book a booth with us can do so starting today! 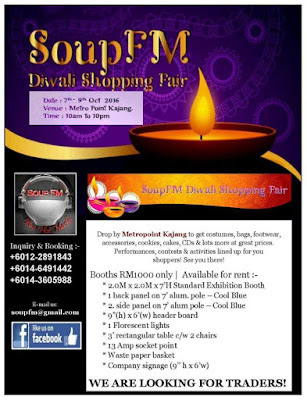 Shop for Diwali with SoupFM 'ith' this year ! Contact 0146491442 OR soupfm@gmail.com for inquiries. 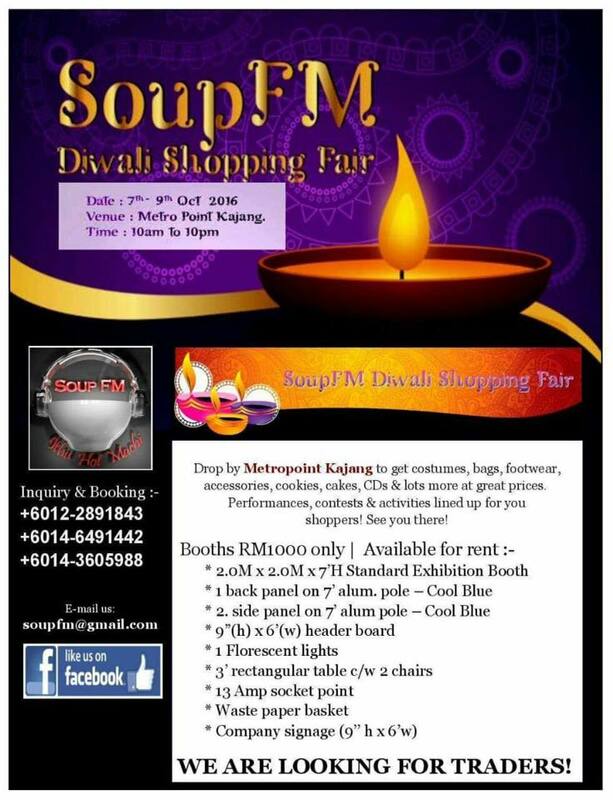 Drop by Metropoint Kajang Complex to get costumes, bags, footwear, accesories, cookies, cakes, CDs & lotsa more at great prices. Performances, contests & activities lined up for you shoppers! Kindly contact the number if you interested to open booth and promote your product. Many people will be coming for the event.